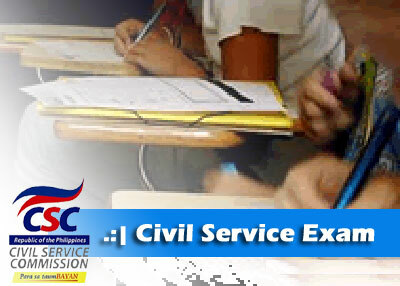 I will be taking the professional civil service examination in Iloilo City this coming Sunday, October 26. This is part of my recent decision in working in a government office. Actually this is my first take and I am not planning to to take it in second try but in case I got so rusty already and failed to pass this one requirement that might lead me to get the IT position I like in the government, well, there is always next time. Enough of “ME” in this post, let’s go with the information that I want to share to you fellow examinees. I guess you are already looking for the room assignments and here we go guys. Recently, the Civil Service Commission released the list. The Examination, Recruitment and Placement Office has decided to upload the list of room assignments of the October 2014 CSE-PPT in their website. Check and verify your names and room assignments for Professional and Subprofessional level takers below. Valid I.D. (preferably the I.D. card presented in the filing of application) Remember: “NO I.D., NO EXAM” and you don’t want to happen this to you after all the preparations you have done. If there’s a problem with the list or further inquiry regarding the October 26, 2014 exam, please contact the CSC Regional/Field Office where you filed your application. I will also try to post the examination results for this exam later so be here when it happens and I hope it will be good news for us. Update: I passed the exam even I thought I didn’t. I will post my ratings later if I received the confirmation from CSC.